Alimak Service, a leading provider of industry leading products, has won contract for the installation and service of five construction hoists to be used in Sweden. The order was placed by Serneke with Alimak Service for the installation and service of five construction hoists to be used in the building of Karlatornet in Gothenburg, Sweden. At 245 m, Karlatornet will be the tallest building in the Nordic region and construction is expected to take about 2 ½ years. Skidmore, Owings & Merrill, the architects for Karlatornet, are also behind some of the world's tallest and most spectacular buildings such as Burj Khalifa and One World Trade Centre. 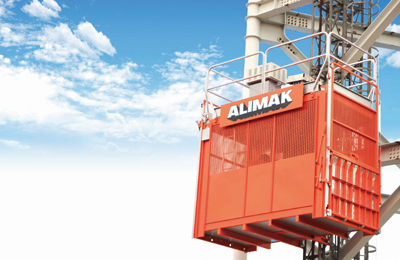 The scope of the project is to install five Alimak construction hoists and a common tower, of which one is an Alimak Mammoth with a payload of up to 5,500kg. The installation and on-going service support will be provided by Alimak Service and is the first time both an Alimak Mammoth and common tower will be used in Sweden. Installation will start during summer 2019 and is scheduled for completion during winter 2021/2022.